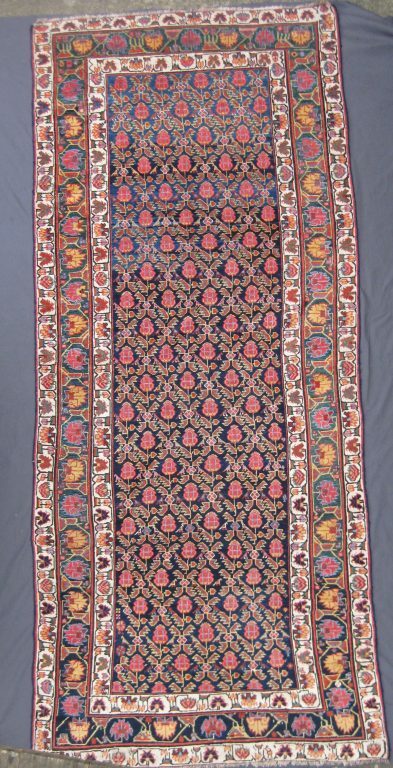 Kurdish long rug from the Kurdish part of Iran, made around the middle of the 19th century. 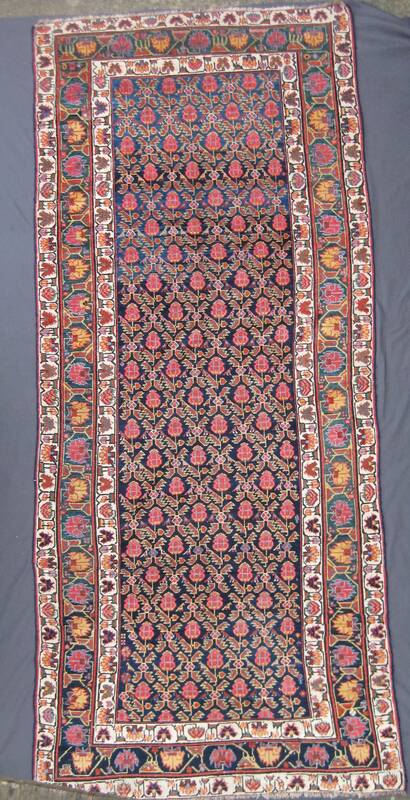 This is a lovely village rug in the proportions of a Kelleh and with a great range of colours, all natural dyes of the highest quality. The complex, repetitive field design of red flowers within a lattice of leaves and birds on a dark blue ground is set off by a sequence of three borders, two white-ground, almost identical meandering borders flanking the main border, which has a very similar floral design, but is on a fantastically saturated green ground the colour of a dark emerald.